Robert Pearl, Medway High School athletic director, said most of the schools in his league built synthetic fields during the past decade. Officials from three that haven’t – Millis, Norton and Sharon – have been out to visit Medway’s project, he said. Pearl echoes supporters’ views that the new fields not only are great for athletes but also a green alternative. 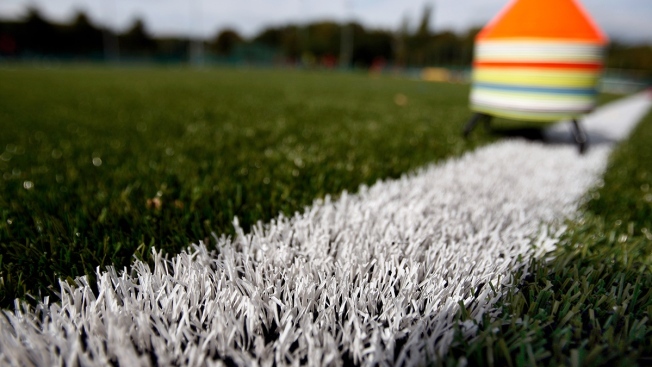 The Synthetic Turf Council boasts that the use of crumb rubber in fields and landscaping has kept more than 105 million used tires out of landfills. “I look at it as great for the environment,” Pearl said. But others worry that the public later will regret it when its time to clean up fields, which last about eight years. “We’re postponing a huge solid waste problem,” said Kyla Bennett, regional director of the national nonprofit Public Employees for Environmental Responsibility.